The east, after the south, is the region that has retained its former aspect. Some cannons recall the battles between the French and the English. This region is totally flat in the north. 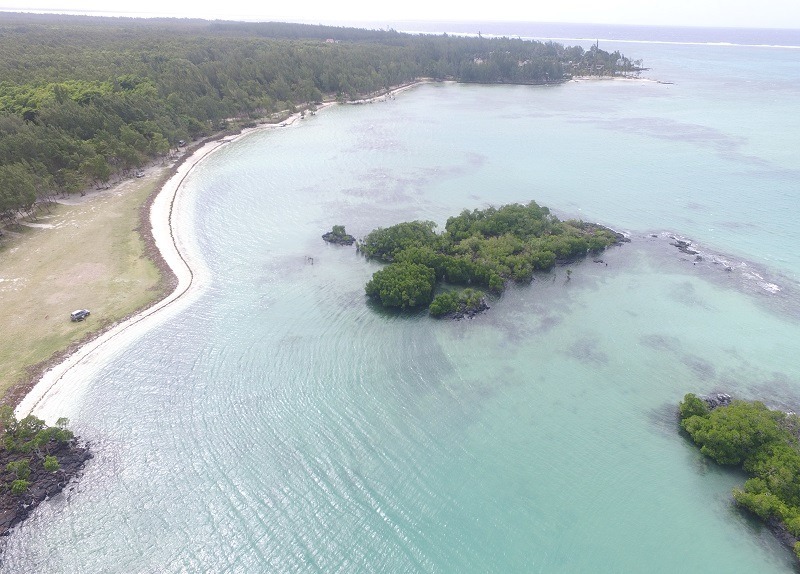 There are numerous islets here, the most famous of which is Ile aux Cerfs. The climate is pleasant all summer thanks to the light sea breeze which tempers the strong heat. During the winter, the coastline may be subject to cooler winds. This coast shelters, the biggest beach of the island, that of Belle Mare. The beaches are beautiful and the landscape wilder. The coast is cultivated the art of living in the Mauritian, without unnecessary agitation, simply following the rhythm of the tides. If you pick up a tourist guidebook in Mauritius and see a dreamy location on the cover, there is a high possibility that it is Ile Aux Cerfs as it has to be one of Mauritius best beaches ; if not THE best (in our humble opinion). Yes it is that iconic! On the public beach, you have all the time a boat rotation. The island’s vision resembles a postcard with its turquoise-lagoon lagoon, mangrove swamp and abundant tropical vegetation. There are plenty of water sports: kayaking, canoeing, sailing, parasailing etc. In addition to its large public beach, Ile aux Cerfs also hides many peaceful corners or you can privately enjoy magnificent small beaches. But you can also rest in one of the three restaurants open to the public. With its turquoise blue water bone-white sand, this beach steals a soft spot in every visitor’s heart. With a breath-taking underwater world, Ile Aux Cerfs is highly recommended for snorkeling. The area is also known for many water sport activities such as kayaking, canoeing and parasailing. However if you are someone who likes to just kick back and relax, there are plenty of private and peaceful spots to do so. 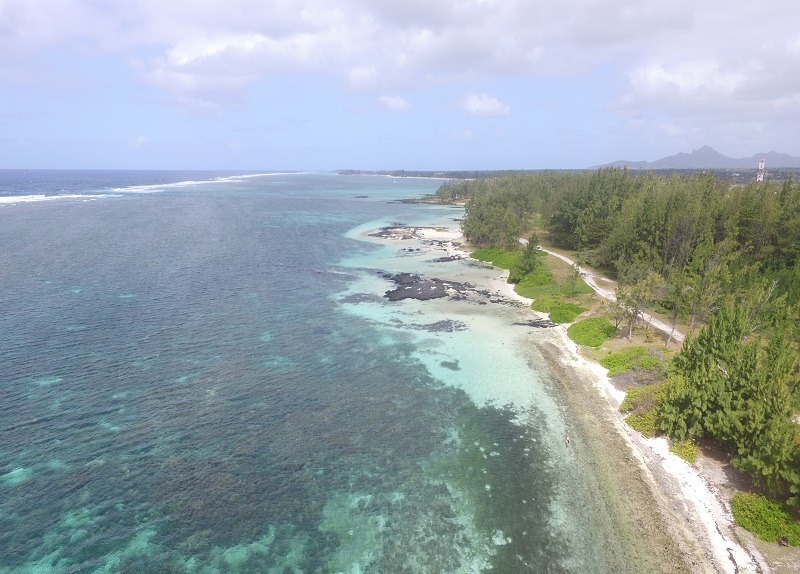 This sounds too good to be true but it is true so head to Ile Aux Cerfs and allow it to steal your heart. Explore Mauritius and its beyond! Make full use of the water sports in the area, they sure don’t disappoint! A privileged destination for holidaymakers. 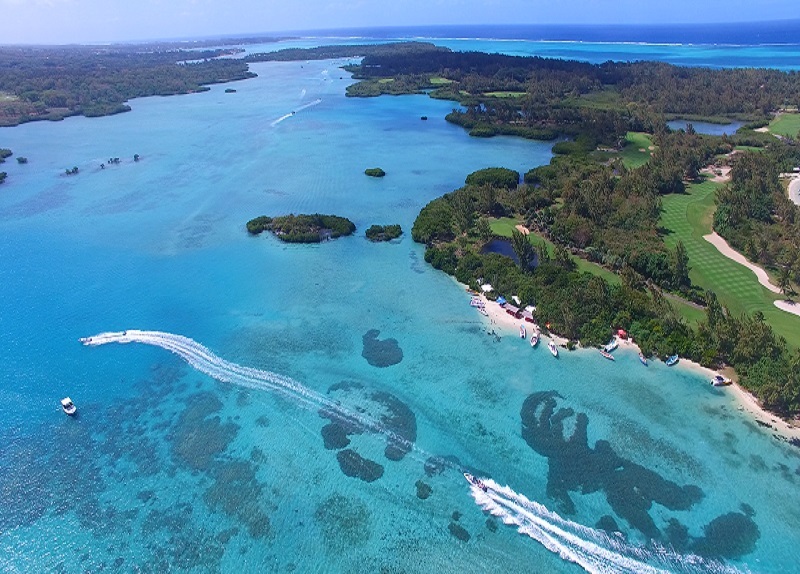 The area of ​​Trou d’Eau Douce and in particular the ile aux Cerfs is a must visit in Mauritius. On the east coast, between Belle Mare and Belle Air, the village of Trou d’Eau Douce lazily stretches along the sea. With a name that speaks for itself- Trou D’eau Douce is a charming bay with a river meeting the ocean. It is so laidback that it depicts the authentic and old Mauritius beach scene, indeed one of Mauritius best beaches. The area also homes a few of Mauritius best hotels and it is a good recommendation to spend time on this side of the island. From Trou D’eau Douce you can conveniently hop on a boat to visit Ile aux Cerfs- Mauritius’ icon! 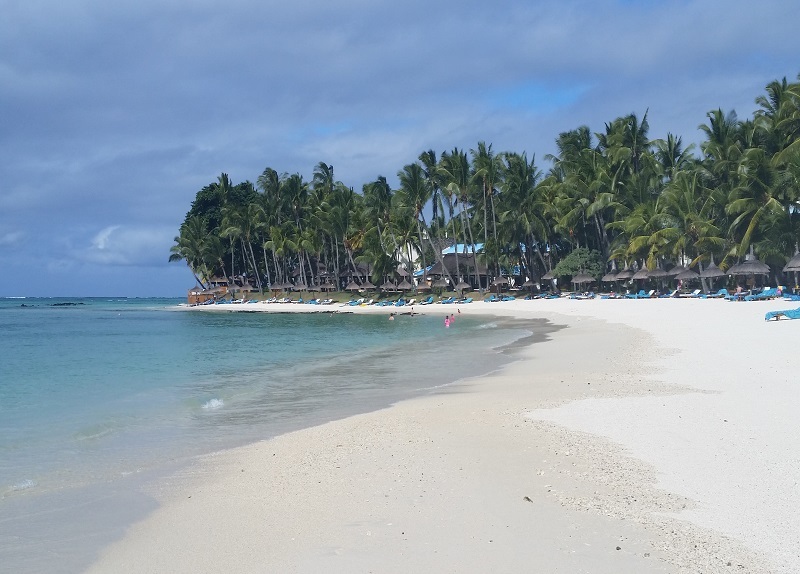 The beach at Trou D’eau Douce guarantees calm and tranquil waters away from the bustling crowds and splashes. The area is coupled with several facilities such as shops and supermarkets as well as a few local joints to grab some local delicacies. It is indeed a good hub to explore Mauritius and its whereabouts. Good and smooth little reggae by the beach is always a good idea! Always bargain your price down when offered to go on a boat trip to Ile aux Cerfs! Since we’ve combed every inch of Mauritius to find the best beaches available, we’ve come up with this one for you. Now you’ll know what to do in Mauritius when you are in need of a good beach day out! Besides being one of Mauritius best beaches to hang out at, Pointe de Flacq is home to Mauritius best hotels. Here you’ll find the most luxurious and exclusive stays (if that’s your kind of thing!). Get ready to be amazed by the beach swaying palms and white sand. If you’re looking for privacy and intimacy, hotels in Pointe de Flacq are definitely a pick for you! We have to list Bras D’eau as Mauritius’ most stunning stretch of beach for the ultimate family picnic! Let yourself get swept away by its magnificent shores and the calming waters for a relaxing day out. If you’re a picnic lover and enjoy good times among friends and relatives, this beach should most definitely be on your bucket list. Bras D’eau is backed up with unbelievable clear water, sparkled with darker shades due to the presence of rocks. But oh man, what a good combination of Mother Nature’s creations! It’s easy to see why we name it as a little jewel among Mauritius best beaches. Untouched, rarely visited and indeed so-very pristine – these may sound like basic traits for you but they surely add up to the unique features of this unspoiled stretch of sand! From the beach, you’ll also be able to head over to Bras D’eau National Park – unvealing Mauritius’ natural beauty! Get your eyes ready for a feast! Bring along a fully filled picnic basket and some fun beach games for the day! Do pack some trainers in case you plan on dropping by the national park! Hankering for a day in shallow waters? Then this is a place you should definitely consider while you explore Mauritius! On one side, expect calm waters along a stretch of golden sand, forming a bay and nicely protected from big waves. The surroundings are covered with volcanic formations. On the other side of the beach, one can also enjoy big waves for some kite surfing as the wind condition is equally favorable there. In fact, it is one of Mauritius best beaches for such activities. You will also be able to spot a few mangroves at Poste Lafayette; a few of the last ones that remain on the island. Bring out your bros’ squad for an epic day out kitesurfing! With a long lost history, Poudre D’Or beach isn’t much of hype but definitely comes with unique vibes! Although it has hardly any sand and is quite inappropriate for swimming, the lovely beach of Poudre D’Or is worth a drop-by! With lush green trees, cool breeze and birds chipping (along with no crowd and a peaceful ambience), Poudre D’Or is best known for its past history- a dramatic tragedy that was said to have happen. In fact, there is even a memorial monument dedicated to Paul & Virginie who perished in the sea due to a tremendous storm. You may wish to find more about this novel written by Jacques-Henri Bernardin de Saint-Pierre, which became viral and an instant best seller back in the days. 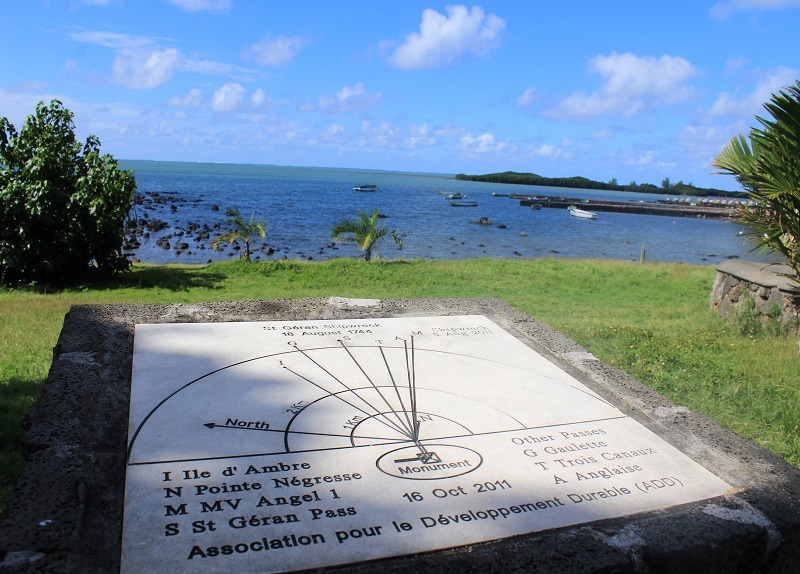 The monument at Poudre D’Or is dedicated to the 149 sailors aboard the ship, along with 13 passengers and not to forget -30 slaves. They all; sadly; lost their lives. It is a good place to get to know more on the history and culture of Mauritius. Read through Paul & Virginie story before heading to Poudre D’Or so you can delve deep while you explore Mauritius. Neighbour of Poste Lafayette, Roches Noires is also surrounded by volcanic formations. In fact, its name depicts how it looks like “Black Rocks”. 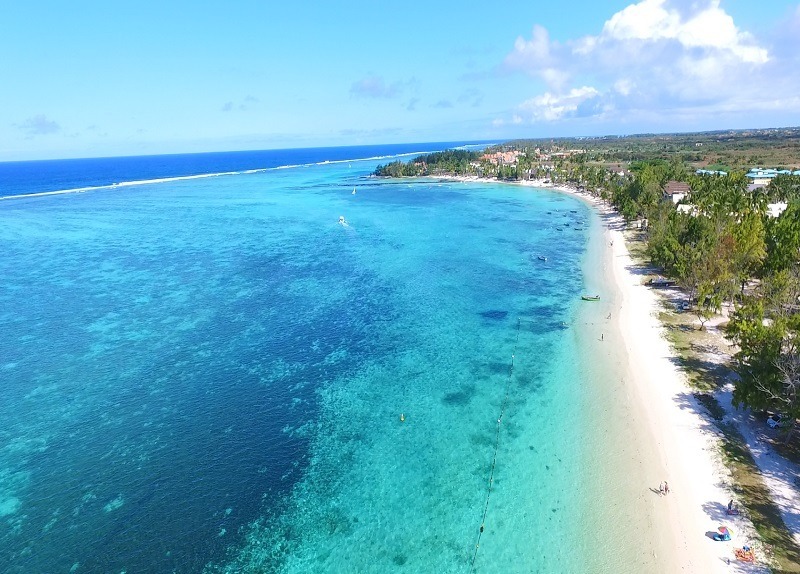 Although not being one of Mauritius best beaches, it is a good option to consider while you stroll around as it is conveniently located next to other beaches. Roche Noire owes its name to the volcanic formation caves which offered a safe hiding place to the brown slaves and also to the color of the volcanic rocks that rise on the beach. The village has a natural jewel, a tunnel of lava situated 7 meters underground in the center of the locality. Nicknamed “la cave Madame”, this tunnel of lava is the fruit of a volcanic eruption that would have occurred more than 25000 years ago. From Roche Noire one succeeds numerous small coves of white sand and volcanic rocks. Swimming at roches-noires is mostly recommended to experiences swimmers due to the rocky formations. Nevertheless, it is yet another beach to explore while in Mauritius, especially if what you’re looking for is privacy and untouched surroundings. There is not much happening at the beach and this could be ideal for a good beer stop while you drive around the island to explore Mauritius. Roches Noires’ unique selling point is eventually the black rocks formation from past volcanic remnants and this could be an experience you wish to lure on when wondering what to do in Mauritius. Have some fun with (or without) kids while spotting crabs on the black rocks! 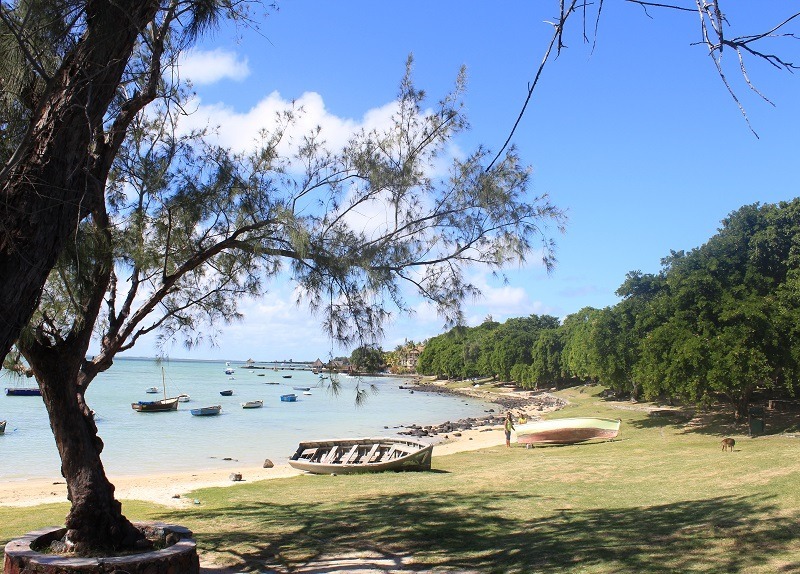 Small and tranquil, Palmar is more or less one of the most “timid” beaches in Mauritius. It doesn’t attract a big crowd as well and there isn’t much to do there. It’s a good option if you are not keen to interact with humanity today! It happens, we know it. Some days we all need some time on our own to find our inner self and get back in a better condition! It isn’t one of the best beaches out there but it nestles decent hotel options. It is a good place to drop by while visiting the east of the island, probably for some rest or for a cold drink! After all, you know your best way to enjoy and explore Mauritius! Pack a cooler box filled with ice drinks! Grand Gaube public beach is one of the most popular beaches among visitors; as well as locals (especially on weekends). It hosts a few of Mauritius best hotels as well!! You’ll find a limited amount of sand stretches in Grand Gaube as the place is nicely coated with well-maintained grass patches. Grand Gaube is actually a small village located at the tip of the northeast coast of the island. At first sight, the village seems to have been forgotten by the train of development. But it is nevertheless picturesque and sympathetic by its authenticity and simplicity of its inhabitants, mostly fishermen, hotel employees or factories of the region. It is in this village with creole accents that the east coast of the country begins, the longest coast of the island, where the sand often gives way to small dark rocks and where the shallow water is quite agitated. The area proposes a few options for restaurants and local snacks but remain quiet most of the week days; unless you are at the hotel grounds. The beach is also easily accessible by public transport as there are several local buses companies driving around the area. Nevertheless, what is striking is that Grand Gaube has been nicely saved from tourist development (except from the few nice hotels around), it has been able to maintain its authentic traits and simple local lifestyle. It is indeed a good place to reside in if you want to get a real taste of Mauritian’s local fishermen lifestyle and everyday happenings. It is a good alternative for the touristic scene of the north coast. 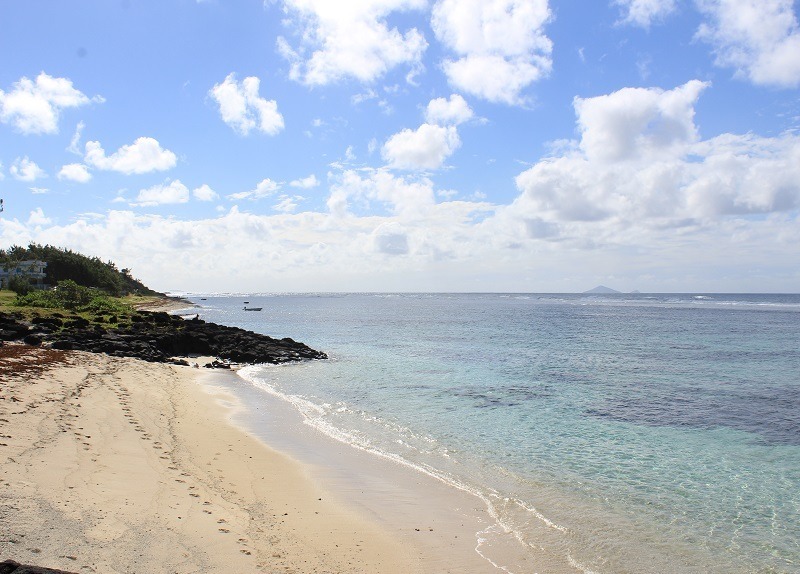 Contrary to other beaches in Mauritius, Grand Gaube does not depict what its name really means, rather than being big it is quite small and laidback. As if time had stop over the village, it has a collection of other small beaches as well.Indeed a good way to explore Mauritius! It’s a great fishing spot for beginners. You could catch your dinner there! P.s you won’t catch a marlin though! Butte à L’Herbe is nearby Pointe aux Roches and Calodyne. The area is an island, connected to the mainland by a couple of small bridges. 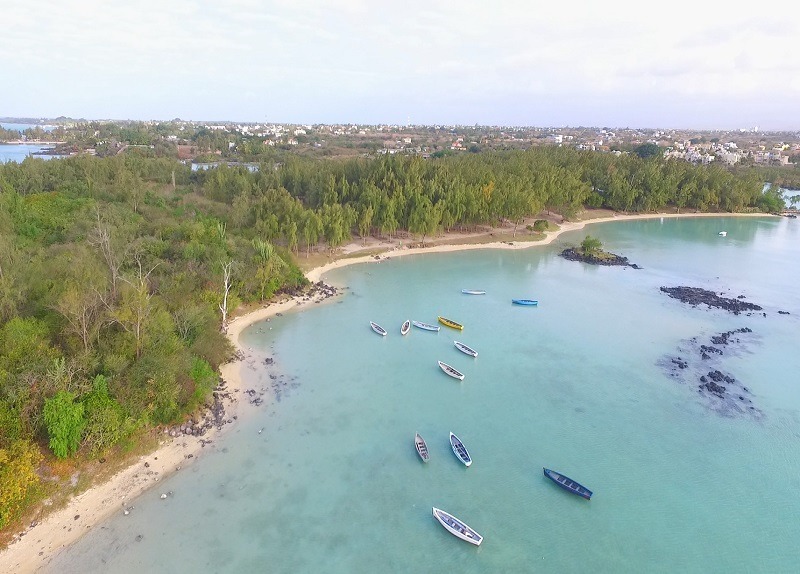 Butte à l’Herbe has a small pine forest in the center of the island, it is an ideal place to enjoy the serenity of the surroundings, the picnic areas and the great views of the Indian Ocean. As if you didn’t have enough worthy reasons to go to Mauritius; we come up and add yet another magnificent beach to see! But you’re happy about it right? Belle Mare being yet a small place; holds a very special reputation among locals and visitors of the island! Blame it on its beauty, it is one of the loveliest stop while on holiday in Mauritius. Yet another white-bone sand beach that makes it to the top of Mauritius best beaches list. The area is coupled with an array of hotels as well. Not to brag about it but Belle Mare hides some of Mauritius best hotels that promise authentic Mauritian hospitality. 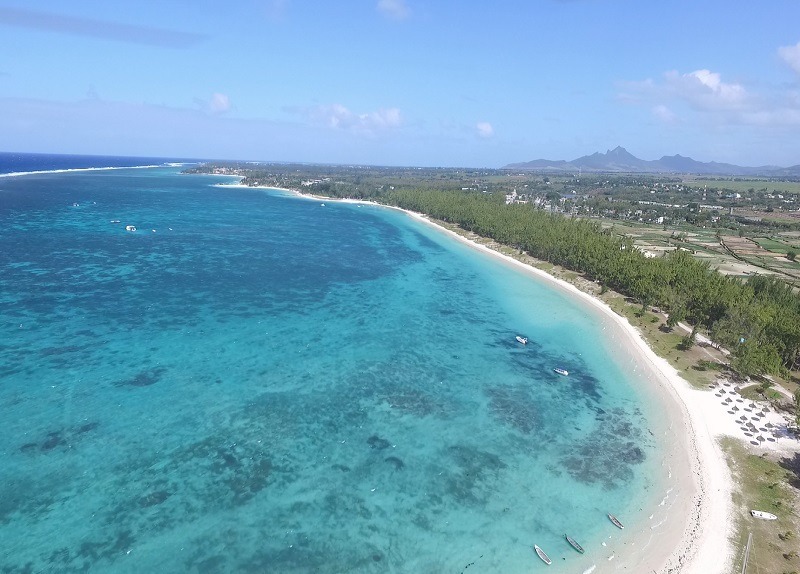 Belle Mare is equally blessed with a sacred lagoon, rich in marine species and there are often sightings of eagle rays and reef sharks closed to the barrier reefs. Diving and snorkeling in Belle Mare could be an ultimate option to add when considering what to do in Mauritius. Snorkeling set and there we go! Discover yet a whole new world! Diving is a big pull there, give it a try! Golf lovers this is a good place for you! Not 1 but 2 world renowned championship courses! Double the excitement.